The perfect setting for a romantic wedding in all seasons. Find out why Chateau on the Park is Christchurch’s favourite wedding venue. With multiple indoor and outdoor venues, Chateau on the Park is ideal for any wedding, any time of year. The outdoor Gazebo Garden ensures picture-perfect summer ceremonies, while the Camelot Room offers warm ambience for winter weddings with its impressive, gas-fired cauldrons. With the help of an experienced wedding co-ordinator, planning your wedding can be as hands-on or stress-free as you like. From helping with floral arrangements to DJs, Chateau on the Park’s wedding co-ordinators will make sure you have a day to remember forever. Catering is offered from Chateau on the Park’s team of chefs. 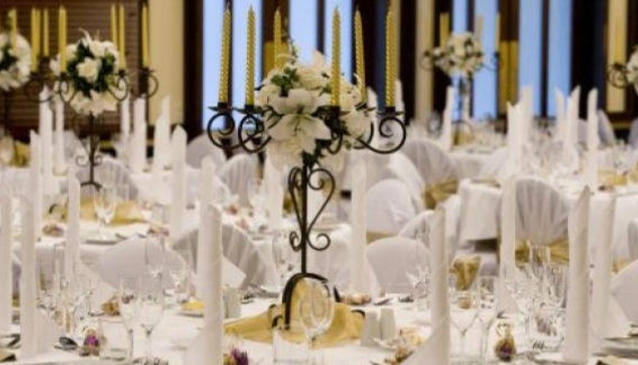 The menus have been carefully chosen, with plenty of options for cocktail snacks, buffet banquets and served meals. Dietary requirements and allergies will happily be catered to upon request. Chateau on the Park knows that the celebration doesn’t end when the wedding is over—that’s why couples are invited back to celebrate their first wedding anniversary with a complimentary dinner for two.